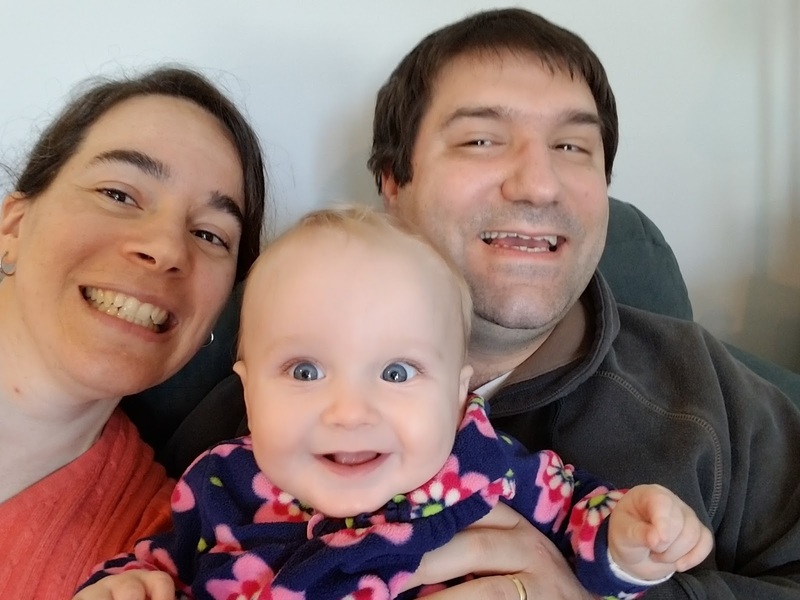 Adoption Pilgrimage: Zelie's Adoption is Finalized! We are happy to share that Zelie's adoption has been officially finalized and she is now a Meola! We met with our Maryland social worker for the third and final time in September 2017, after which she sent in her final report to our California social worker. 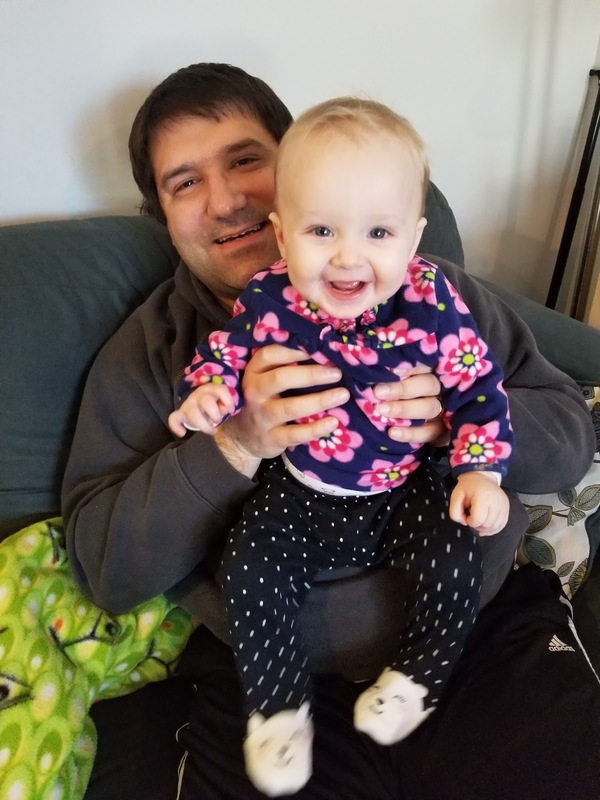 Then in late November, we had to send some notarized forms to our lawyer's office, official court forms stating that yes, we intend to adopt Zelie. Once those were received, our lawyer requested a court date for Zelie's finalization hearing. Since it was the end of the calendar year and coming close to Christmas, we didn't get a date until January 2018. January 5th, to be exact. So that Friday, Dan took off work and we made ourselves available all afternoon. Our lawyer and one of his coworkers would be present at the court on our behalf, and at some point the judge would call us to be part of the process too. We knew it could be any time that afternoon (morning in California) and we were both surprised to be kind of nervous! Even though the finalization hearing is pretty much bureaucratic (all the big "pieces" are done and approved), it still felt like a big deal to be talking to a judge! Finally the judge called and we were sworn in, had to promise that yes, we would tell the truth, and yes, we were Dan and Bethany. From there, the whole conversation took less than five minutes! The judge asked us to reconfirm that yes, we knew that by adopting Zelie we would be responsible for her as her parents, that she would inherit our estate (that one kinda made us chuckle....all our ancestral lands tee hee ;)), and basically yes, we do want to adopt her. All softball questions! At the end of this short exchange, the judge said very officially that "I now pronounce you Zelie-Louise Layla Rose Meola." (!!!!) It reminded us a lot of a wedding! Pronouncing a new name, a new place in a family. Wow! We both were more moved than we thought we would be, and some happy tears were shed. Zelie did beautifully, too! She enjoyed a yummy bottle very peacefully the whole time :) All in all, it was a beautiful moment for our family and reminded us very much of the amazing gift it is to be Zelie's parents. We received the official adoption order in the mail about a week later, and we will use that for all kinds of things: getting Zelie a social security number, applying for her passport, filing our taxes as a family of three this year, and officially changing her name on insurance cards and such. So (surprise!) there is still more paperwork to do :) But functionally, our adoption of Zelie is DONE. Period, full stop, closed parenthesis. For the first time in over two years, we're not "in the adoption process" - it feels a little strange! So this blog has chronicled our adoption journey from beginning to end.....and God willing we will chronicle adoption #2 here as well whenever we start on that journey! 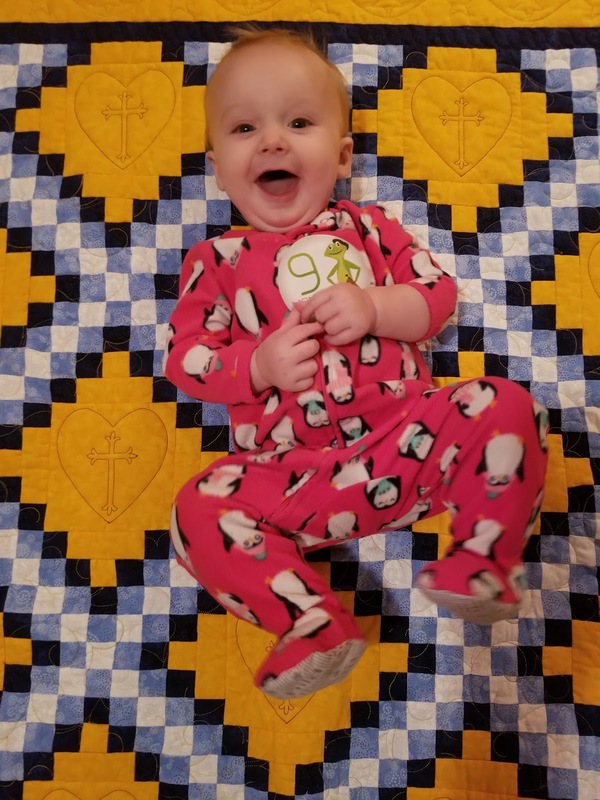 For now, we are just so filled with gratitude at this amazing little girl who is almost 10 months old, and we thank God every day for her courageous birth parents and all the people who love her so very much. What exciting news! Congratulations to the whole family! Zelie looks like a delightful little baby and the joy her parents feel is obvious in their smiles. Wow so much paperwork! But congratulations! Wonderful news! I’ve been thinking about you lately, as apparently my mom is sending/sent you my Zelie’s height chart that was misprinted haha! Congratulations! Your story brought back good memories for me and my family. We adopted a beautiful baby girl from Sweetwater, TX in Nov. 2009. It only took us less than a year. We used ANLC as our adoption agency. If you are thinking of adopting again, I recommend Adoption Network Law Center. God Bless your family. Congratulations!!! Jack and I were able to be at our friends' adoption finalization back in November for their foster son. It was so beautiful to witness the event and I cried such happy tears for them. Congrats Meola family! Eeeee!!! CONGRATULATIONS! :) So wonderful! We have decided to call our blog "adoption pilgrimage" because we are going on a journey with the Lord to become a mother and a father and to discover the love of God made present in a precious, new infant who will be our child! Please pray for us, for all current & future birthparents (especially Zelie's!) and for all those touched by adoption in some way.